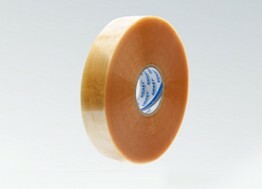 Adhesive tape for adhesive polypropylene Solvent type – natural rubber. Perfect for packaging using packaging machines.High temperature resistance, resistance to moisture, UV radiation, high viscosity, allow the use of tape in almost all conditions. Packaging tape on natural rubber, in particular, is dedicated to the demanding customer.